David now prays that his enemies will soon find the path before them dark and slippery, even to the point where the angels of the Lord are pursuing them. David desires his enemies will lose their way following him so he will find peace. His life was being disrupted by the pursuit of the enemy, but David still knew where to find hope. Enemies can be overwhelming and feel like they are surrounding us. We may even sense them gathering strength and we may be losing the battle. We begin to lose the battle when we start to consider another path other than the one God has chosen for us. The enemy makes the path look very desirable and wants us to choose following its way. It’s a slippery slope when we begin to open ourselves up to the enticements of this world. 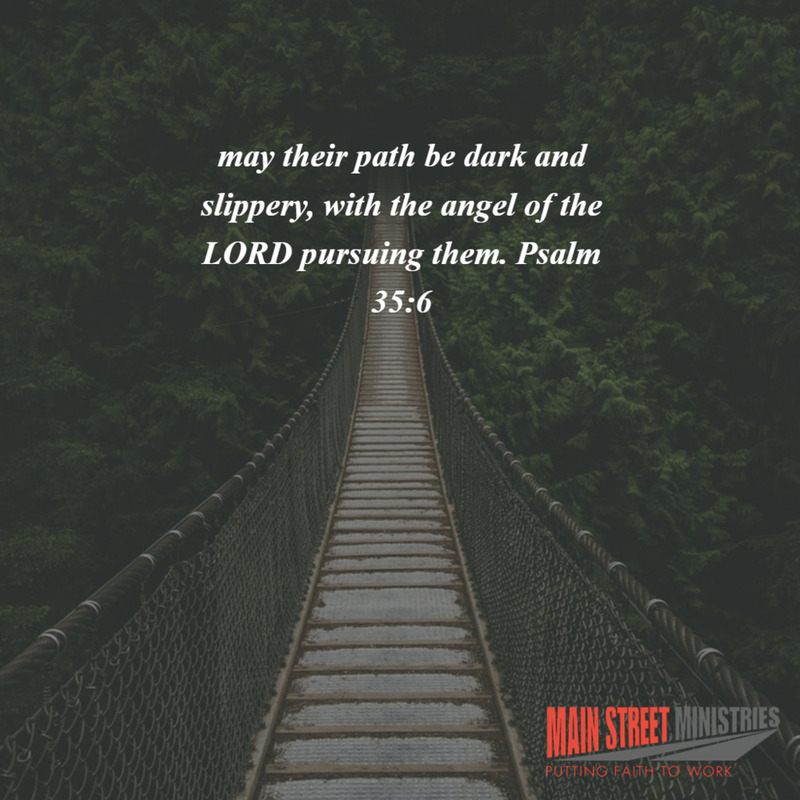 David steps in with a bold prayer and asks God to have the enemy fall on their path as he prayed, “May the enemy be tripped up in pursuing us.” One of the ways we can be sure we are on the right path is to have our ways always in the light. David prayed the enemy steps would be dark so let us keep our steps in the light. To keep ourselves from slipping, keep bringing all we do before the Lord in prayer and keep all we do in the light. Are all your ways in the light?